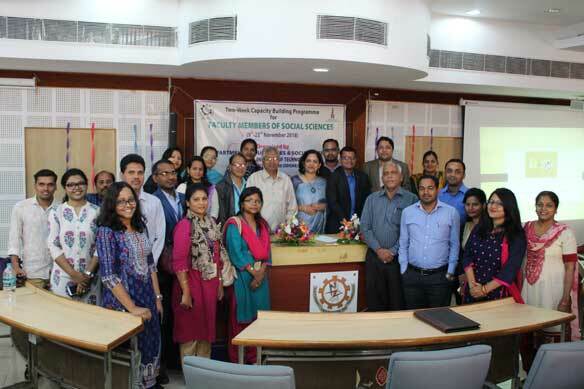 Rourkela : An Indian Council of Social Science Research (ICSSR) sponsored Two-Week Capacity Building Programme organised by the Department of Humanities and Social Sciences of National Institute of Technology Rourkela concluded on Wednesday . The Valedictory session was chaired by Prof Simanchala Panigrahi, Director in-Charge, Dean Students’ Welfare, Prof Nihar ranjan Mishra and Dr Narayan Sethi OF Humanities department . The workshop was commenced with an inaugural session which was chaired by Dean, Faculty Welfare Prof B.C. Ray . Participants across disciplines in Social Sciences from different parts of the country attended the workshop enthusiastically. A number of lectures were organised in compliance with the course requirements of the ICSSR. 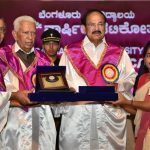 Eminent resource persons were invited to deliver talks on an array of issues ranging from ethics in research, feminist theory and methodology, use of econometrics and Time Series Analysis to gender and sexuality as well as reflexivity in Social Science research. Prof Manju Singh from MNIT (Jaipur, Rajasthan), Prof Annapurna Pandey (University of California), Prof P. C. Padhan (XLRI Jamshedpur), Prof N.C. Nayak (IIT Kharagpur), Prof D. Parthasarathy (IIT Mumbai), Prof Rudra Prakash Pradhan (IIT Kharagpur) and Prof Niladri Chatterjee (Kalyani University, West Bengal) were few of the many resource persons who made their way to enlighten the participants in their respective fields. The participants were also encouraged to present papers on their respective areas of interest. One entire session was dedicated to this purpose on 19th of November, 2018. The workshop received high appreciation from the participants as well as the resource persons.